One great aspect of taking a gay cruise is that most of the guests are friendly and open to meeting new people. On a straight cruise, guests come with friends or family and already have a social group established. 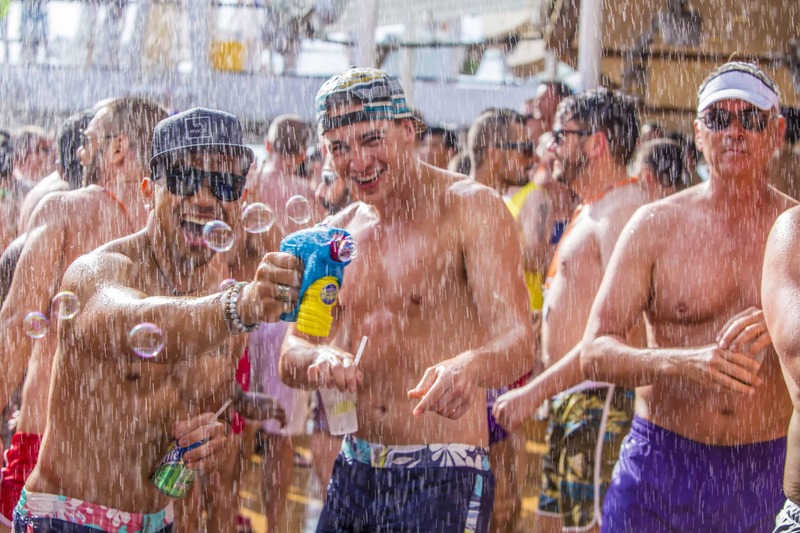 On a gay cruise, there are many activities that help connect guests and give you a chance to meet new people. 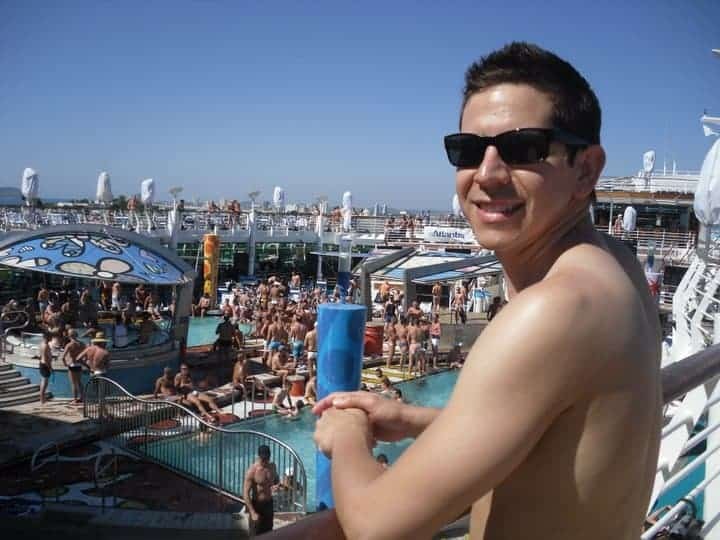 Another benefit on a gay cruise is the amount of different activities that take place on the ship. When we went on our Atlantis cruise a few years back, there were even events geared towards couples and singles. Couples could meet other couples and enjoy a meal together and singles could meet other singles and quickly make new friends. 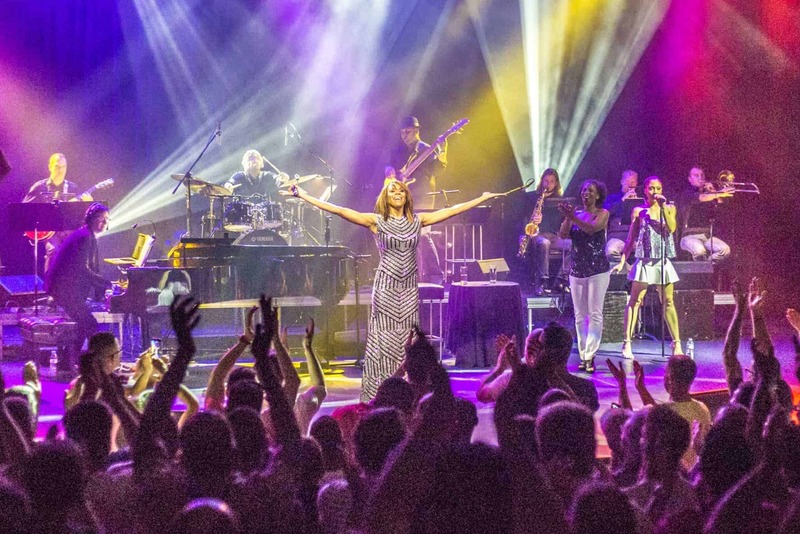 If you book a cruise on one of the large ships like Atlantis or RSVP, you’ll be in for a treat. Perhaps more parties than anyone needs in a week’s period, but still fun nonetheless. Many of the parties are themed and often outdoors, so don’t forget to dress up! Sure, it’s not a requirement but it’s all part of the fun. And don’t worry…a gay cruise typically serves half as much food and twice as much booze (no surprises there!) as their straight counterparts, so you can be sure the party will continue all night long. Besides booking your plane ticket and selecting your room type, there isn’t much more you need to do. The cruise includes your accommodation, many onboard activities and entertainment. Just keep in mind that if you plan on drinking (who doesn’t?!) or taking a pre-planned, onshore excursion then you will need to pay extra for those. And even if you decide to book an excursion, it’s simple to arrange online or you can wait until you’re on the ship – though better to check beforehand for the best availability. Alternatively, you can choose to explore a port on your own (in most places) if that’s more your style. Let’s be honest for a second. David and I are quite lazy when it comes to travel. Sure, it’s one of our favorite things to do but we don’t necessarily enjoy travel planning. What’s great about cruising (and we don’t mean in the bushes at your local park) is that you can easily visit 4 or 5 destinations in just a week’s time. Longer cruises even offer more ports for visiting, especially in places like the Caribbean or Mediterranean where ports are all near to one another. We would never make the effort to see so much on our own but with a cruise it’s simple, care free and easy to do without much planning required. Just think…you can wake up in a new city every day! Interested in traveling abroad but haven’t made the effort to plan that big trip? There’s a lot to consider when traveling internationally. Not only do you need flights and hotels, but you need to think about currency, language barriers, passports and visas, safety considerations and time zone differences. Taking an international cruise is one way to ease of lot of that work. Besides all the included features, you can get personalized onboard assistance with visiting the port cities, money exchange and any last minute questions. Into drag queen bingo? How about performances from some of the top gay celebrity entertainers? Most of the big gay cruise lines bring on big headliners or “gaylebrity” performers. Our Mexican Riviera cruise featured multiple performances by Courtney Act, the famous Australian singer, drag queen and former Ru Paul runner up. Or maybe you want to just sit by the pool or even hit the gym before breakfast. You can do any, all or none of these – it’s totally up to you and most activities are included in the ticket price. Ok boys, power down that iPhone and get off Grindr. Yes there is paid wifi onboard (it’s expensive!) but there’s really no need. You’re surrounded by real Grindr profiles face-to-face for a week on end. Sure, maybe you need a little more courage to strike up a conversation, but that’s what the bar is for. Need we remind you of liquid courage!? Probably one of the most attractive parts about a gay cruise (besides so many beautiful men) is the comfort zone. The entire ship is full of LGBT guests and all staff has been extensively trained to provide you with a welcoming and gay-friendly experience. It’s a very open environment and one where you can relax both mentally and physically. What do you think? Have you ever taken a gay cruise or would you consider taking one? Let us know in the comments below! 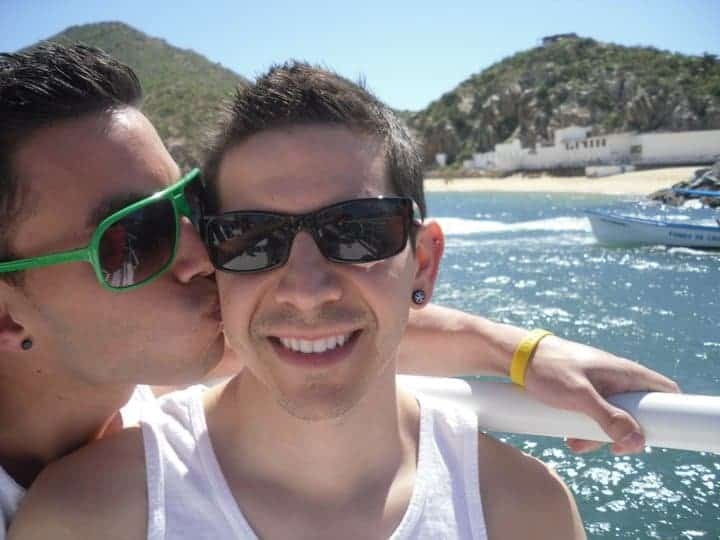 very good article guys and spot on … we took our first cruise (gay or straight) this past winter and you are exactly correct in all your details. It was just a fun and relaxing, event filled week and we felt totally at home with the cruise line staff that we booked a second trip for next winter already. Awesome! which cruise line did you go with?? I think prices for an Atlantis cruise start around $800 but you’ll need to verify on their site. It includes your room, all meals and most activities and entertainment. We’ve only ever done an Atlantis cruise personally, but there are a few other options. As a straight married woman, I would go. What percentage of passengers were single would you guess? I like the idea of a gay cruise, but does it feel like a 24 hour hip gay bar? That’s not my style. I would say most are single, but many of the singles come with friends. Probably only 5% or less of singles that come alone. This is an absolutely exceptional idea! When I get back from my deployment, it’s game on!!! interesting, never heard of the gay-group cruises. Thanks for sharing! I’d love to go but I don’t work out and am not buff. Am I allowed? hahaha of course. you’ll find every type there. Any that are particularly good for honeymoons? The european ones tend to be more romantic and slightly less of a party feel. So perhaps that’s a better option. I’ve not been but is it really necessary top be drunk to talk to guys? Come on!! – it’s fine to pay but this article makes out every gay man is socially inept. I would like to hear the anti-gay cruise experience. It seems as if the experience is basically Grindr “in person and on water” – which seems a bit scary. Especially since we all know about the loonies and trolls on the Grindr app. I can’t imagine experiencing that in person, all day, for 5 days. Yikes. I’m always a bit apprehensive about anything all “gay” cause it seems the typical gay watering holes (no pun intended) don’t maintain the best tact or respect. The darker side of a gay cruise could possibly be drugs and alcohol abuse running rampid. Who wants to wake up to take every morning or run away from that at night for an entire trip? Like the previous comment, a 24-hour gay bar basically. It doesn’t seem appealing even though you have highlighted the typical aspects that could be attractive to single gay men. I’m not sure how mature couples would benefit from a cruise such as this. Perhaps. I also think you’d have a different perspective if you’d been on one. But like you said, they aren’t for everybody. Please don’t be put off by the myth that the ship is a 24-hour bar (or worse). I’m happily partnered, in my mid-40s, and we’re going on our 15th Atlantis cruise in September. It is simply the greatest way to vacation. I’ve made a bunch of friends on the ships, and there are always plenty of things to do. They put a 4-page newsletter on your bed every night with all the activities. You don’t feel like going to a party every night? there are shows on the mainstage, cabarets all around, lounges, the gyn, the spa, and plenty of ways to just relax alone or with new friends. And the idea of waking up in a new port every day is just tremendous. We’ve been around the world with Atlantis–Australia, Scandinavia, Greece, Spain, the Caribbean, Mexico, all over. I know I sound like I work for the company. Believe me, I don’t. I honestly believe there is no better vacation available, and I cannot wait til the next one. We have taken 2 gay cruises with Atlantis and 1 land tour with Toto Tours. We loved them all. A big thing to remember with a gay cruise is the price and age factor. The cheaper the price, the younger the crowd. The European and Asia cruises cost more, so there are more mature and middle aged crowd, while the cheaper, shorter Caribbean and Mexico cruises cater to the younger, party type guys. However, all are so much fun. And, unlike straight cruises, there are no black tie events. Every restaurant is casual and comfortable., saving room in your luggage for all those costumes! Yes that’s true. Our Mexico cruise out of LA was a younger crowd and heavy part focus. We’ve heard the European cruises are a bit less so. i would love to go on a gay cruise but I also would like to make new friends and go with someone. Very good article and covered the topic very well. I went on my first Atlantis Mediterranean cruise last summer and going again this summer. Most off people when told about gay cruises think it is just a floating bath house or gay sauna. My experience has been that it is more like a floating gay village. There is something for everyone. From Class, Grace, Style to Sleaze. Only it is in global scale. Nice way to meet people from all over the world . I have made friends for life. I guess I will be doing these cruises every year now. At least I shall try. That’s a good way to put it….a float gay village. Yes I think plenty of people who haven’t been are quick to make judgments. 1 reason NOT to go on a cruise. All I see are Caucasian (white) gay men. I guess there is a separate ship for visible minorities. 60 years after Rosa Parks and I thought there was no back of the bus for anyone, unless it is an all white gay cruise. If anything, it’s more complicated socio-economic factors, combined with the fact LGBTQ people of color are a minority within a minority which explain why there are so few people of color taking gay cruises (and therefore less visible in the advertising). Sounds nice. However, this site, like so many others, could use some diversity. Multiple pictures, but not one black person in the group. I feel isolated in the black community, but I often feel equally isolated and unwelcome in the gay community. There is nothing in these pictures that says to me: come and join us. Took our first gay cruise on the Allure of the Seas last January. It was such a wonderful trip. We booked for January 2018 while still on the ship. The people are super friendly and out going. It was one of the best vacations and cruises I have ever take. Awesome! we are excited to go on another as well. We are a gay male couple and want to cruise with some straight female friends, are they allowed on Atlantis Cruise’s? If not, which cruise would allow them? 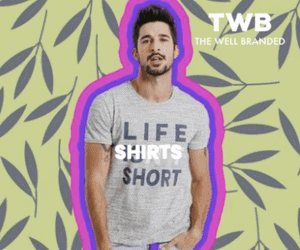 Win $100 from Andrew Christian – Become an Ambassador Now!